When you just say the word ‘California’ it’s easy for your mind to immediately wander from the fog shrouded Golden Gate Bridge, over the towering Redwoods, through the vineyards in Napa, into the Magic Kingdom, and down along the sun-kissed beaches. This Pacific bordered state is truly a prize. Today, just as in the gold rush days of 1849, California is a land of opportunities for businesses. If you do not want your competitors to “stake your claim” you need to make yourself more accessible to customers/clients, develop greater marketing strategies, answer every phone call, take every order, provide top-notch customer service, and stay within your time and money budgets. How do you accomplish all this without going crazy? California…you need an answering service! You need Call Center Plus to be exact. The goal of Call Center Plus is to make your callers feel like they reached your front office. We answer your calls using your answer phrase and we answer in an intelligent, professional, warm, and friendly manner. We provide a seamless and clear answering service solution for your California business. Your callers want to speak directly to a live person who can help them with their needs. We train our operators to treat your clients as if they are actually sitting in your offices. You no longer need to worry about not being accessible to your callers/clients even when you are not there. We answer the phones with your answer phrase, keeping a seamless continuity between your actual office and ours. We are here 24/7 so you don’t have to be. We deliver your messages to you through email, SMS text, fax, or any combination of these. We send the call information to as many people in the office as you need to get the information to. Office staff is costly. You must consider more than just the salaries you pay out. There are also expenses associated with benefits, hiring and training, lost productivity due to employee illness, etc. When you let Call Center Plus answer your phones, you pay a fraction of that. Your office staff is usually only available 40 hours a week, while we are here 24/7/365. You pay your staff whether they are busy or not. You pay us a nominal monthly account maintenance fee and then just the cost per minute for operator time. We round to the nearest second, not minute, which saves you even more. You are not locked into paying for a bundle of minutes or certain amount of time. Use us for as long as necessary and pay only for time used. How do you get more cost efficient than that? 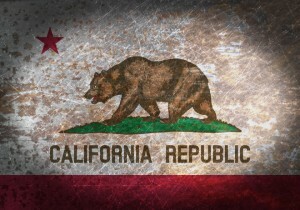 What types of California businesses need our answering services? Whatever your company…from lawyers to landscapers, suntan specialists to Silicon Valley tech issues, winery sales to windjammer rentals… and everything in between, we tailor our services to meet your particular requirements. California is a fast-paced, ever-changing place to live and work. At Call Center Plus, we keep up with your changing, growing business! Mention California Answering Service or Answering Service in California for a free 1 hour setup.